Recent Nick Cave live does not get any better than this. 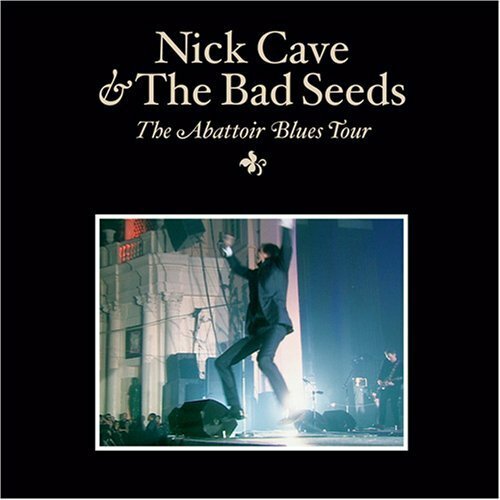 I have seen most iterations of the Bad Seeds, and I saw them in Wolverhampton on this tour – it was truly Cave in his pomp. Lyre of Orpheus/Abattoir Blues is a BIG sounding double LP, lush, especially with the London Gospel Community Choir adding their weight. And the live show managed to capture that huge sound and make it work on stage. Nick Cave live can be a little ramshackle, in a very cool way of course, but this was very, very together. Some of the live shows made it onto a live DVD/CD box set – the Abattoir Blues Tour – and a few of those tracks (it looks like a Channel 4 half hour music special) have made it in HD onto YouTube.